While the Prime Directive is a fictional rule for one of the most popular science-fiction franchises, there may be some merit to the philosophical and ethical issues the rule brings up, especially in regards to the future of space exploration. 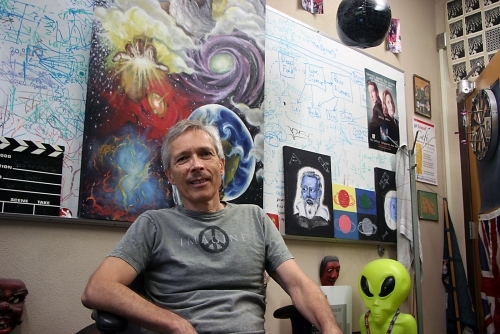 In a lecture given last Monday, Christopher Impey, a UA distinguished astronomy professor, discussed the social and ethical implications involved with exploring the universe — namely those associated with astrobiology, which deals with the search and study of life elsewhere in space. “Astrobiology begs a series of very profound questions about the nature of life, the role of life in the universe and our relation to any sort of life in the universe,” he said. While we haven’t found life anywhere other than Earth, Impey remains positive that such a major discovery will happen soon, due to the number of Earth-sized planets being discovered in the habitable zones of their stars. But while the discovery of new life would be one of the most significant findings in our lifetimes, theorizing what that new life could be like may be one of the greatest challenges we face — simply because we may be limited by our own imaginations. For us, that familiarity means that life must be made of carbon and have access to water. Essentially, for us to recognize it, life must be like us, despite the fact that there is very little evidence to support that all life does fit such a narrow definition. The lack of understanding about the possibilities of life, however, hasn’t stopped scientists from looking for life within our solar system. The moons Titan and Europa are prime candidates in the search for extraterrestrial life, and the recent discovery of water on Mars could also indicate the possibility of life on the red planet, Impey said. The discovery of water opens up the possibility of terraforming Mars as well, in order to make it habitable for humans. But while establishing life on other planets would be a significant scientific achievement, it also brings up a multitude of moral and ethical questions. According to Impey, these questions are going to incite debate about astrobiology and ethical space travel within our lifetimes, especially with private sector space travel becoming a greater rival to institutions like NASA. Others are less optimistic about the answers to the ethical issues posed by astrobiology. “I don’t have much hope for human ethics if you take a look back at what we’ve done to other species and to our own species,” said Maliha Khan, a journalism freshman who attended Impey’s lecture. While NASA may be no closer to forming its own Starfleet Academy than it was when “Star Trek” first aired, it may consider creating its own version of the Prime Directive before the decade is through.